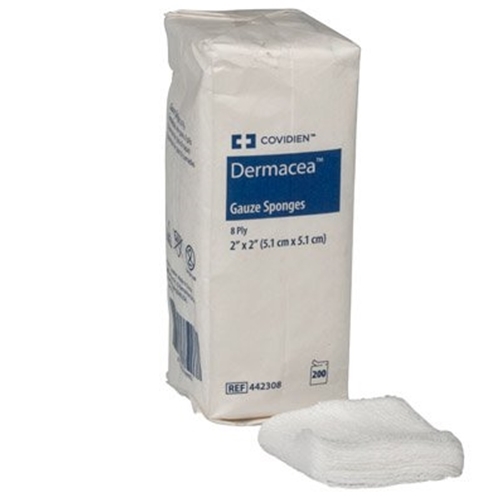 Dermacea Gauze Sponge from HealthyKin.com offers clinicians a cost effective alternative for sterile and non-sterile 100% cotton gauze dressings. Found myself without supplies for Moms wound care after clerical mixup at her care center. Discovered HealthyKin and placed order Thurs morn expecting to wait a while for delivery since I am in VA. Figured I'd check tracking Fri morn after shipping confirmation email. Lo and behold, UPS had already left package at my door! Not only are their prices fantastic, I'm totally blown away by the "sudden" service. Thank you HealthyKin from a most grateful new customer! These 8ply pads are much softer and thicker than the 6ply we were using before. Good product, just wish they were thicker. This is a woven, thin kind of dressing. I had meant to get a thicker non-woven variety. Not absorbent at all, I would not recommend this product to anyone. It is very flimsy and is more like a stunner since it is abrasive. The only attractive thing about this product is the price. You get what you pay for. Healthykin has the things I need for the right price. Great product for cleaning my wounds.